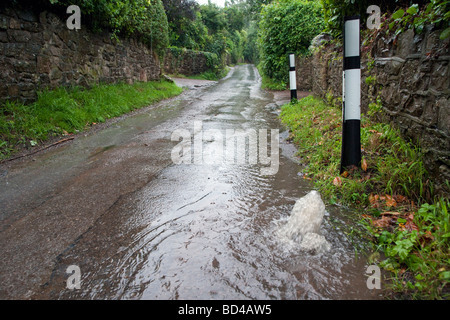 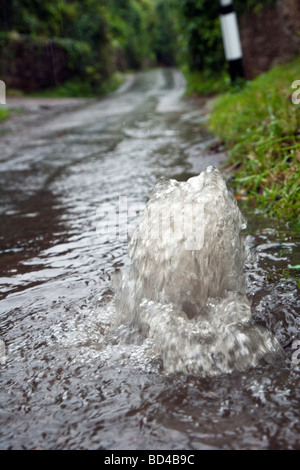 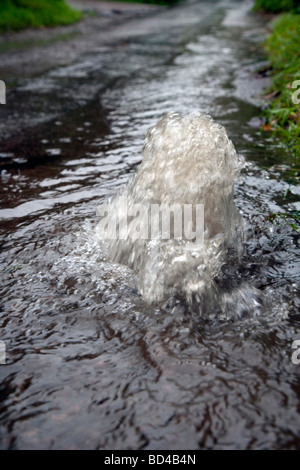 Water gushing out of drain and water running down country lane after heavy rainfall. 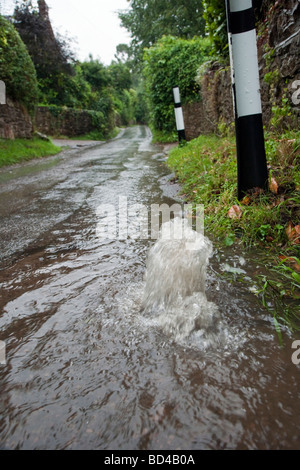 Water running down a drain in the road, UK. 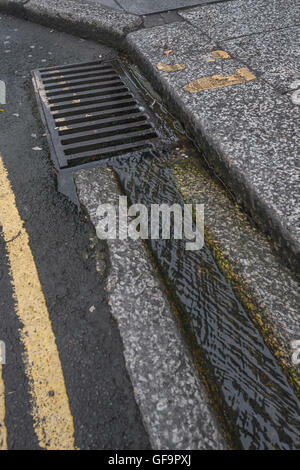 Street drainage / gutter in Truro, Cornwall. 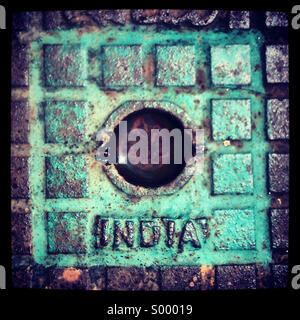 Visual metaphor for 'money down the drain' and water waste / wasting water. 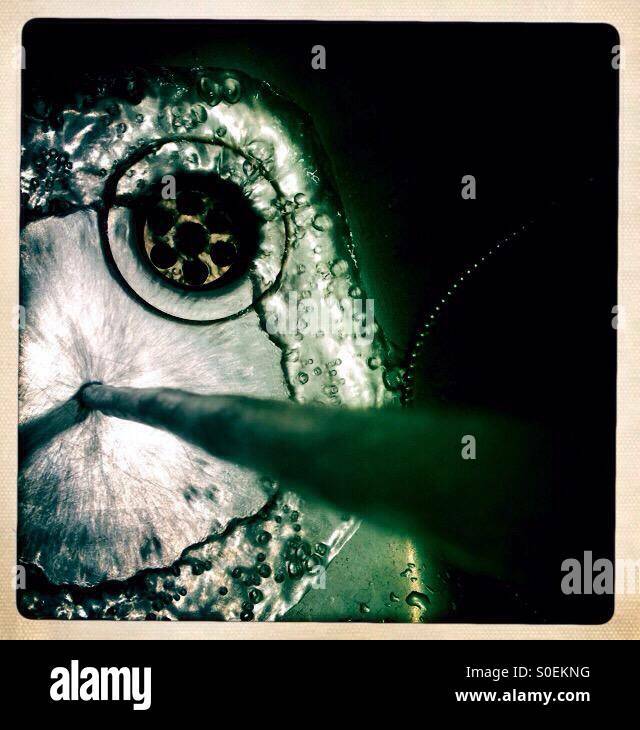 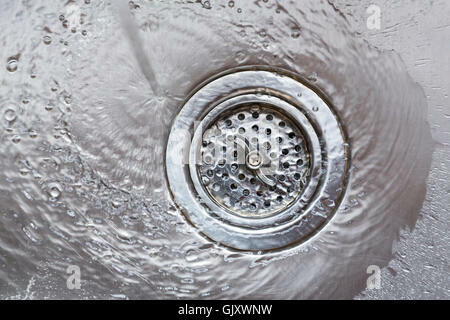 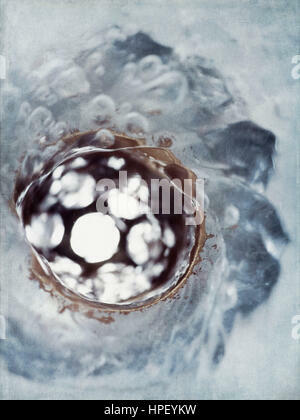 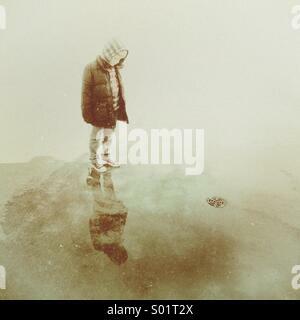 Down the plughole. 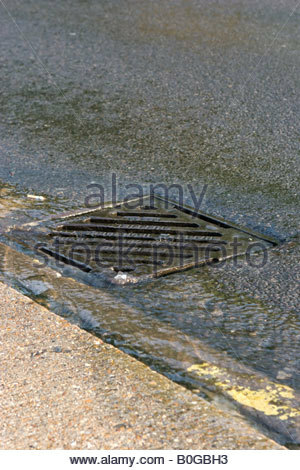 UK money down the drain. 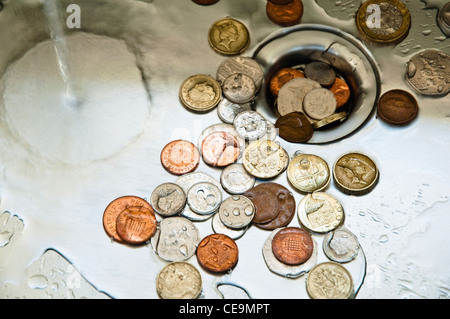 Coins and water down the drain.